My blocks have made it to the flimsy stage. 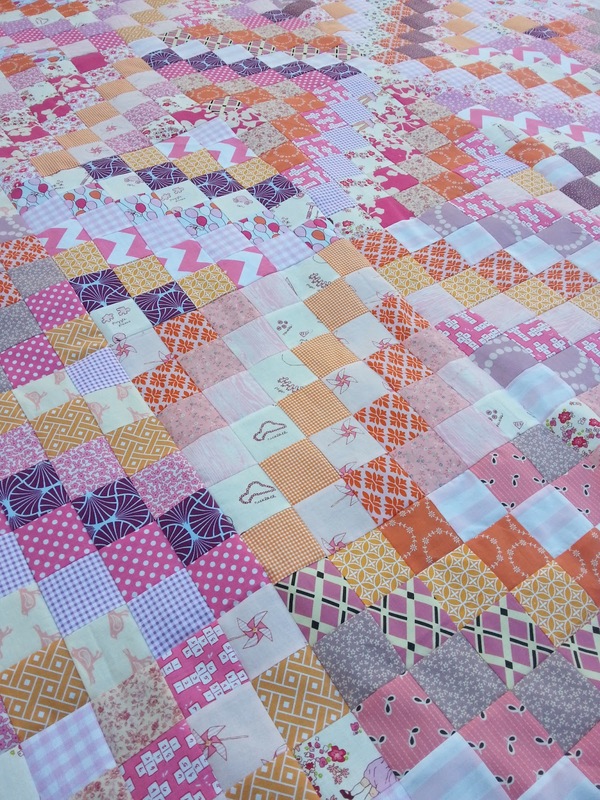 Could it be possible that it will become an actual quilt before the end of the year? Or maybe even the end of summer? In other news I finally finished my About Me page. Click over if you want to see pictures of my family or find out what kind of pet I own. Yes, you can do it!!! Love the colors and I'm sure it will be gorgeous totally complete! It's lovely! Great colors - reminds me of a sunset. I've loved watching the progress of this quilt. The top is absolutely stunning. beautiful quilt top. 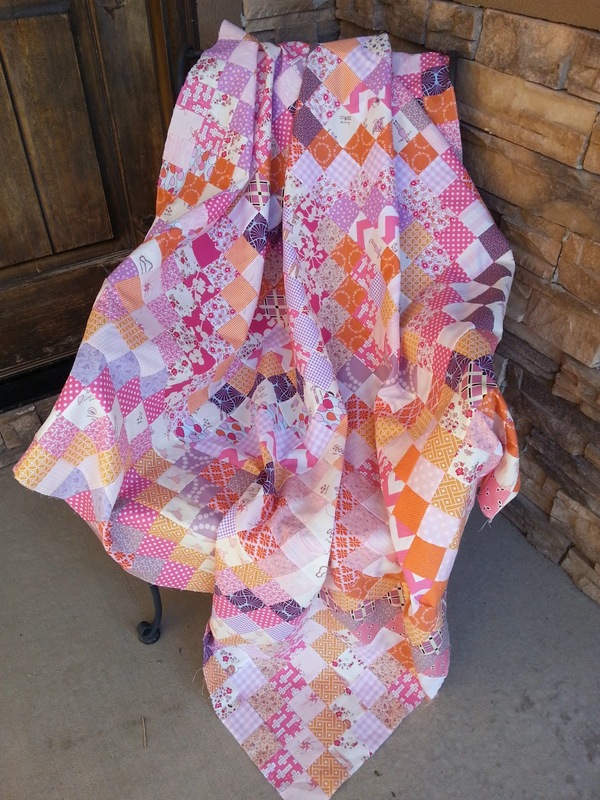 The colors are so happy and bright, and your piecing looks amazing! I absolutely adore this quilt. What a fabulous color scheme! Your flimsy is beautiful! The colors are so bright and gorgeous, it will be awesome when it is finished. I have yet to start a "trip" quilt and really want to after seeing yours. Nice job! 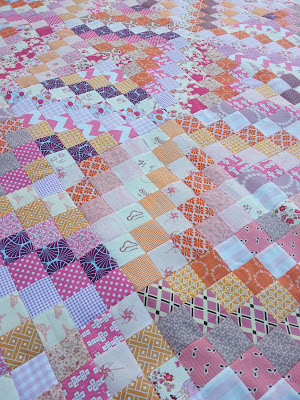 I love love the colour of your quilt! Oooo! So pretty!